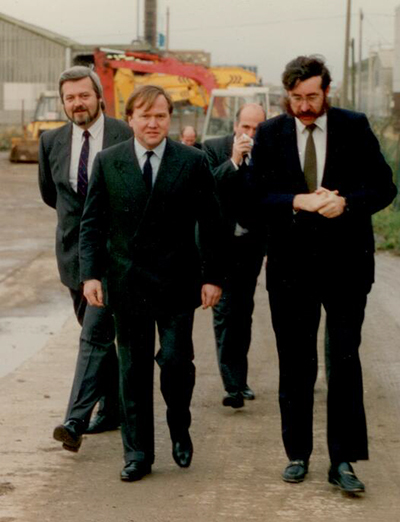 Holt JCB was established in 1979 and was owned and run as a private, family business throughout the 1980s and 90s by Peter Shields and George Osborne, former senior managers within the JCB group of companies. 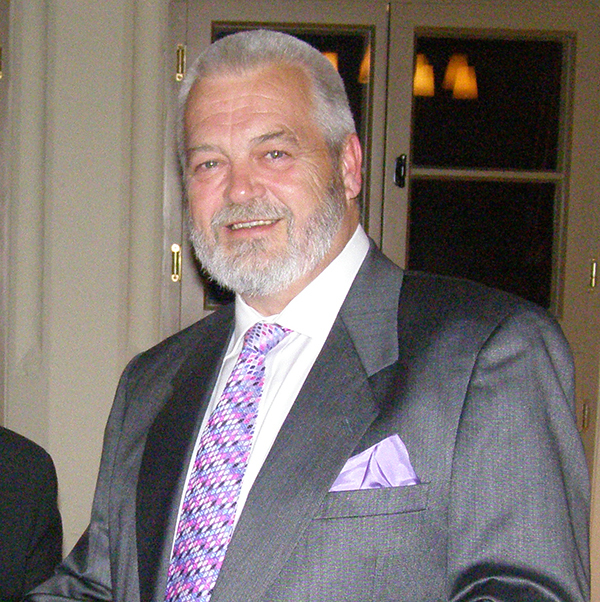 George retired in 1998, and his shareholding was purchased by Peter, thus securing the “family” status of the business which has now endured for over 30 years. From modest beginnings in 1979, the company has developed the representation of the JCB franchise in the South West and South Wales and has become one of the most established and respected equipment dealers in the UK. The company takes great pride in its “family” ethos and believes in developing staff and promoting from within. A significant number of the senior managers in the company have made their way up through the structure of the business, and gained a close knowledge of customers and their business requirements along the way. This policy has helped considerably in achieving the company’s objective of “Growing Our Business By Delighting Our Customers”. In 1996, Peter’s elder son Andrew joined the business, and took the first of many steps along the way (working in every department within the business) to succeeding his father in running the business. A detailed succession plan was established, which included Andrew being seconded to the JCB organization in the USA for two years, to gain experience in both manufacturing and the wider, international, business environment. 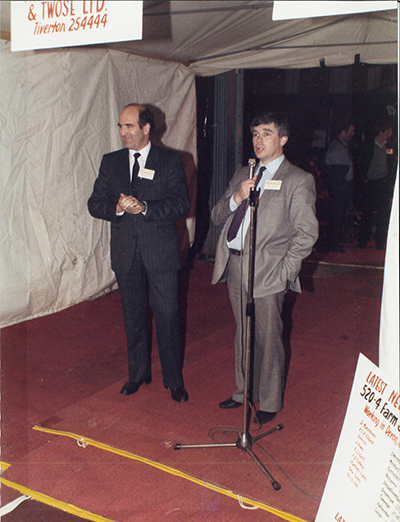 Following George Osborne’s retirement in 1998, the company needed a “Head of Sales” (as Peter is an Accountant) and Ray Cowlin (who had joined Peter and George in the business in 1980) was appointed to lead the company’s quest for ultimate machine sales growth, as Sales Director. A separate part of Ray’s responsibility was to mentor Andrew and assist in his development within the management of the business. The After Sales side of the business was overseen by Chris Robbins, who was also a long standing employee, with 30 years’ service, who had been promoted through the management ranks to be a director of the company. The company continued to grow under the new senior team but, in 2008, Peter encountered a period of ill health which necessitated an extended period of absence from the business. Ray Cowlin was appointed Managing Director and became the operational head of the business and, with Chris Robbins retiring, Andrew became head of the After Sales division, and formed an effective top management team with Ray. Mike Winton joined the business, as Finance Director in 2009 with a view to partnering Andrew in the future ownership and management of the business. The Senior Management team of the business was now complete, with Peter becoming Chairman of the board. All of these senior team changes coincided with the worldwide economic slump and it is to the team’s credit that they managed the business through such economic turmoil and, ultimately, made it both more effective and stronger. At the end of 2012, the final stage of the Business Succession Plan was put into place. After over 30 years of commitment to the company, and four years as Operational head (during the most difficult trading period for a generation) Ray Cowlin retired and Andrew was appointed Managing Director. Thus completing the transfer of the management of Holt JCB to the next generation, under the leadership of Andrew, with his knowledge, enthusiasm and unwavering commitment to customers, at a time when the economic outlook is slightly brighter and the company’s new structure and management team are excellently placed “to grow our business by delighting our customers”. The story of JCB is one of innovation, ambition and sheer hard work. From small beginnings building agricultural tipping trailers in 1945, to the global force in manufacturing the company has become today, JCB has constantly pushed the boundaries in our desire to be the best. My father and company founder Joseph Cyril Bamford’s motto was, “Jamais content”, and that is exactly right – we are never content with our achievements. But I believe that even he would be amazed by what the company has become. Today, we have 22 plants on four continents and more than 750 dealers around the world. These are exciting times. In just 67 years we have gone from one man in a garage in Uttoxeter to major global brand renowned for its pioneering spirit. All of this is down to our people – a 10,000-strong worldwide force that makes up the JCB family we are so proud of. Our achievements over the past 67 years have been considerable, but at JCB we believe in always looking ahead to the next development, the next level of success. As we speak, JCB is continuing to innovate and push the boundaries in research and development; in particular within the area of sustainability, where energy costs and emissions are becoming an increasingly important purchasing consideration. Many of our customers will need to reinvent their businesses to meet new building standards and emissions legislation, and we will be there to support them every step of the way, as we have always been.